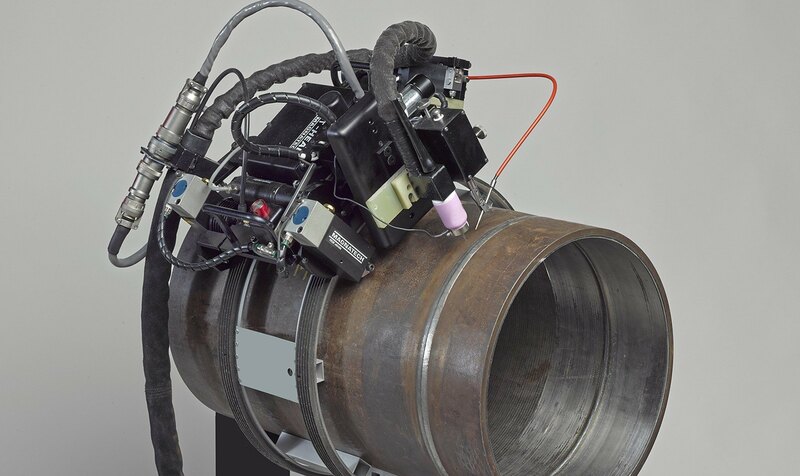 The Magnatech T model weld head is designed to make pipe-to-pipe and pipe-to-fitting welds. It is “full function” – with the capability of reproducing all the motions of a skilled manual welder. 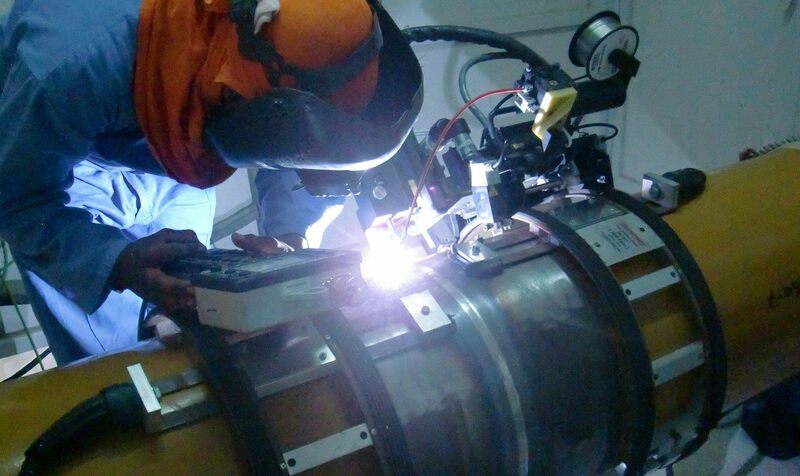 The T Head is used for larger diameter/heavy wall applications, requiring the precise weld process control of gas tungsten arc welding. Interchangeable guide rings provide mounting on the pipe, and allow the T Head to cover a broad size range. The T model weld head improves productivity by increasing duty cycle, reducing repair rates, and producing welds of consistent quality.